Adventure is out there! 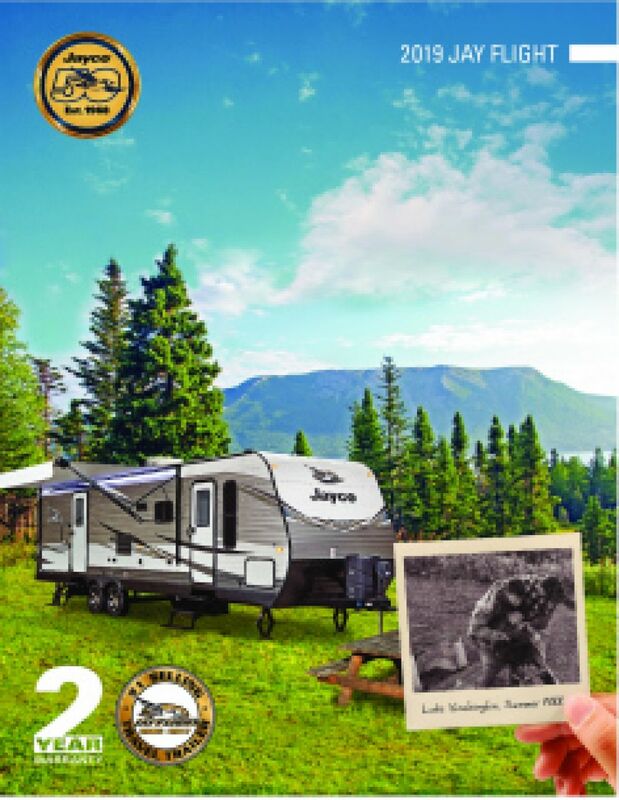 Seize it with the 2019 Jayco Jay Flight SLX 324BDS! You'll find this Travel Trailer and other top quality RV brands at All Seasons RV! Our Muskegon RV dealership is one of the largest in the Midwest! You can visit our site at 4701 Airline Rd Muskegon Michigan 49444, or we can bring the Jay Flight SLX 324BDS to you with our 24/7 RV delivery service throughout North America! Call us today at 231-739-5269 to start your RV lifestyle tomorrow! Outside you'll be able to enjoy the shade under the 18' 0" awning! This RV boasts an impressive GVWR of 9000 lbs. and hitch weight of 909 lbs. The 2 slides help expand the interior of this 36' 2" long, 8' 0" wide, and 11' 2" high RV. Heat or cool the living area with the 35000 BTU furnace and the 13500 BTU a/c. Cozy up and snuggle into the master bedroom's Queen bed for a full night's rest in comfort and privacy! There are enough comfy sleeping accommodations for up to 7 people in this camper. Enjoy home-cooked dishes on the road with the kitchen's 6.00 cu. ft. refrigerator and a 3 burner range cooktop! Cleaning dishes is easy thanks to the 40 gallon freshwater tank. You go to the bathroom several times a day, so wouldn't you want it to be close by, private, and comfortable? You'll get all that with the full bathroom in this RV, complete with a Marine Foot Flush toilet and a roomy shower! With 40 lbs. of LP tank capacity, you'll enjoy hot, steamy showers every morning on your vacation! The 32 gallon gray water tank and the 39 gallon black water tank help you avoid dealing with waste and used water while you're having fun on the campground! The snug Bunkbeds in the bunkhouse are so comfy that even your most restless children will drift off to sleep in no time! We all know that food cooked outside in the fresh air just tastes great! You'll experience this sensation any time you want to, thanks to the convenient and handy outdoor kitchen!